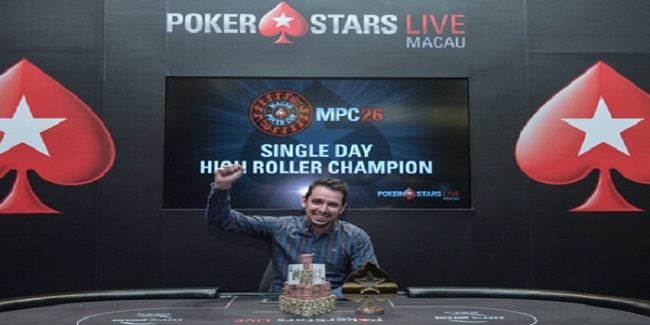 Sergio Aido of Spain has won HK$100,000 buy-in Single Day High Roller at PokerStars Macau Poker Cup 26c and pocketed an amount of HK$2,074,000 as first prize. 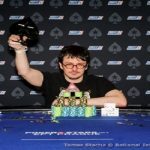 Total prize pool for the tournament was a whooping HK7.5 million. Yuan Li of China eliminated to second position in a heads-up match against Aido. 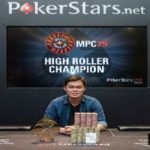 He took home a good total of amount HK$1,474,000 as wining total, while third position was for a player from Belarus named Mikita Badziakouski. He eliminated to third place for a total winning share of amount HK$985,000. The tournament attracted 91 players worldwide and took eleven hours to decide top 13 players of the match. It took another 40 to decide who will play for the real money. 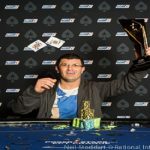 The first player who busted from the final table of 9 players was a professional poker player from Hong Kong named Wing Cheong Chong. He busted to ninth place and took home HK$215,000 from the championship at Level 20 – Blinds 30,000/60.000/5,000. Nick Wong was the next man who hit the rail. He busted to eighth place at Level 21 – Blinds 40,000/80,000/10,000 but before this he secured HK$283,000 from the table. In the same level of 21 another player named Celina Lin eliminated to 7th place. She made HK$362,000 from the tournament. The level was 21 and blinds was Blinds 40,000/80,000/10,000. Another player busted in Level 21 and it was Pete Chen of Taiwan, who made HK$460,000 from the tournament for his sixth place. 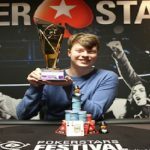 Fifth and fourth places were for players from the United States of America and from United Kingdom and they were Jordan Westmorland and JP Kelly. They pocketed HK$588,100 and HK$743,000 respectively. Westmorland busted at Level 21 Blinds 40,000/80,000/10,000, while Kelly busted at Level 22 – Blinds 50,000/100,000/10,000. Mikita Badziakouski Eliminated in 3rd Place and added HK$985,000 in his account.